This is an all-ages event, and there will be plenty of holiday fun for the children to enjoy! This event will take place rain or shine on Sunday 11/25, 2018 from 2-5pm. I’m going to the Andover Santa Parade, can I make it to this event? 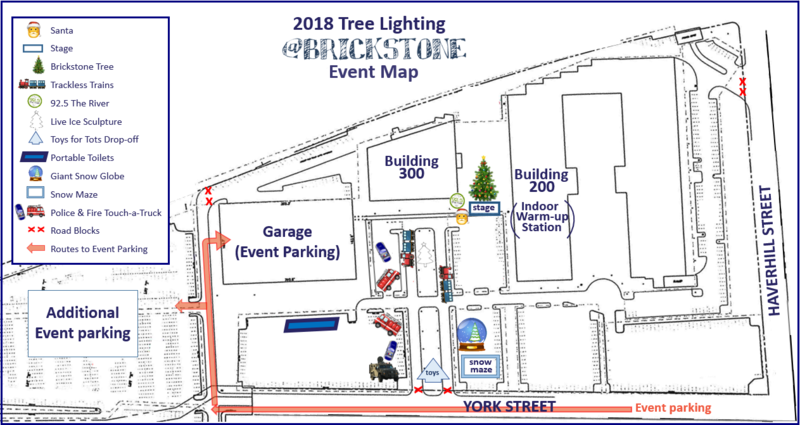 The Andover Santa Parade begins and ends at Doherty Middle School, just 10 minutes away from Brickstone Square (200 Brickstone Square, Andover MA, 01810). Once you’re done enjoying the parade, join us over @Brickstone to continue the holiday fun! Stage programming begins closer to 3pm, so you’ll have plenty of time to make it over!